Aarambh 2018 was organized on July 21st, 2018 at the auditorium, hilltop campus, Lavale. Aarambh is an annual intra-SIU cultural event that sees the participation of almost 200 students across various colleges under SIU. This year, nine institutes came together to be a part of the mega event. The theme for the event was ‘Mysfits’. All the teams presented their own interpretations of the theme. 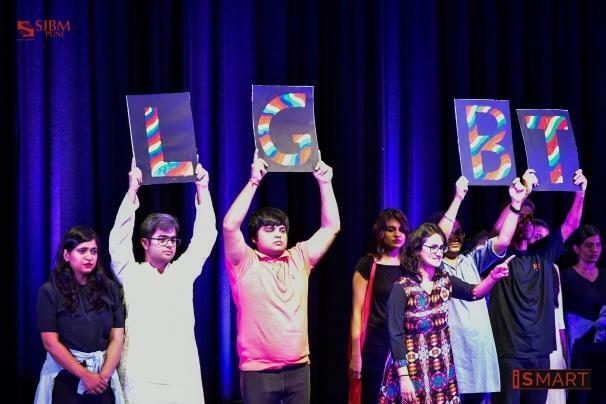 SIBM's performance revolved around the LGBT community and how they capture the attention of the general public as being an aberration from the behavioral norm. In short, they have been condemned as misfits and expected to conform to accepted social and religious norms. The performance was a very effective amalgamation of music, dance, and drama and left the audience spellbound with an extremely critical issue to ponder upon. SIBM received immense appreciation in the form of loud cheer and applause. The Co-curricular team of SIBM was a part of the core committee for Aarambh and the team members played a crucial role in making the event a success. The event was a very enriching experience for the students as they got to interact with a large number of their peers from different backgrounds and institutes and collate their views and ideas on a common platform.